We’ve been drinking a ridiculous amount of coffee lately, and it’s not because it’s chilly outside. Here in central Florida we’ve been running our A/C most days because of the persistent heat that just won’t seem to leave. I’ve actually found a love for coffee (or maybe it’s just a new addiction) in the past year. 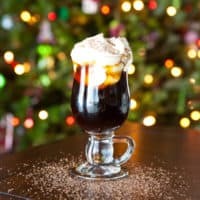 A quick and easy recipe for a delicious Christmas Coffee Cocktail perfect to serve friends and family this holiday season. To make this fabulous little cocktail, I used my new toy, The Keurig Vue® Brewing System. 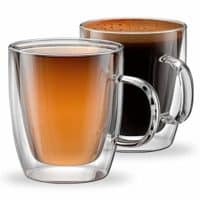 I’ll admit, I was one of the first ones to jump on the single cup brewing system, another brand years ago, and it was terrible. Actually awful. So I was really apprehensive about trying another brand. 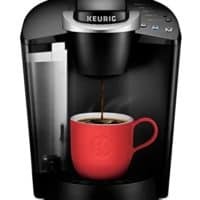 But, when I heard about the new Keurig Vue® Brewing System, I knew I had to try it. 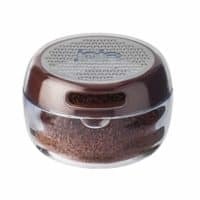 Brew Bigger – Want to fill your travel mug? Now you can with Vue®packs specially formulated to brew a bigger cup with the strength you expect. Brew Hotter – Want 195°? You got it! The average drip coffee maker brews around 180°. The best coffee is brewed at 195°-205°. This machine has a heat setting that goes up to 197°, making that coffeehouse temperature attainable at home. 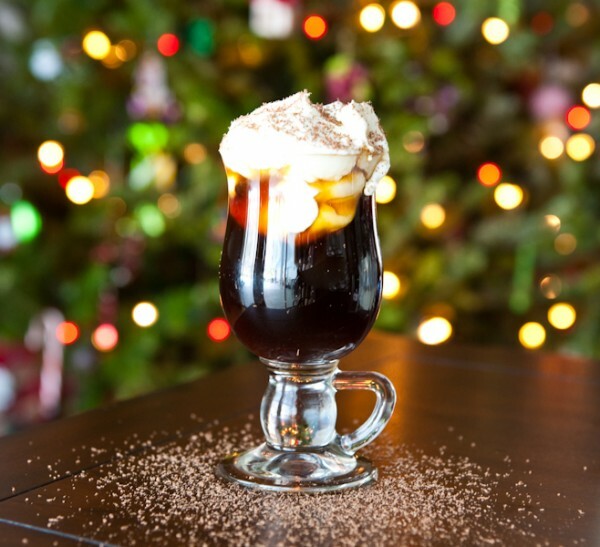 Brew More – In addition to coffee, tea, hot cocoa and iced beverages, Vue® brews delicious café beverages. 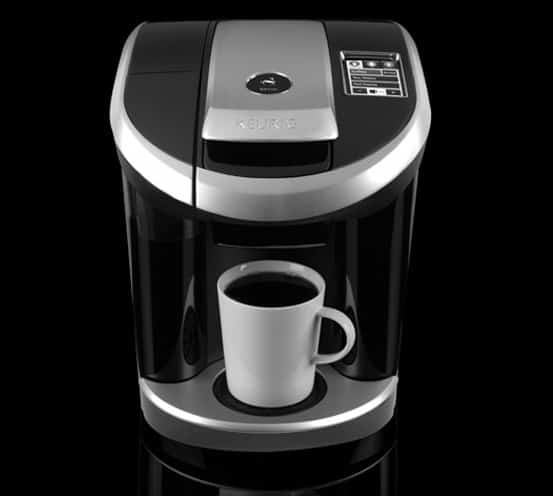 You can find the Keurig® Vue® V700 Brewing System online and have it shipped for free. You can also find it at many retailers, including Target. I received the above Keurig for review purposes only. I could drink coffee all day long and sometimes do. ANd will definitely be adding this to my Christmas day menu! 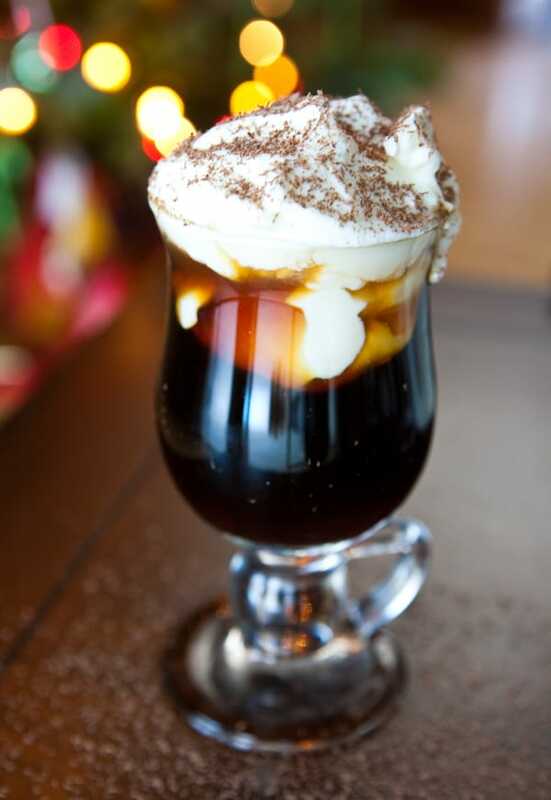 I’m a coffee addict too — love the combination of liquors in this! Gorgeous photos, Angie. This sounds perfect for the holidays! Mmmm…love the butterscotch in this extra special cup of coffee! I want to try this soon! We drink a ton of coffee and I can’t believe you are running the a/c! It was 8 degrees here yesterday morning. Sigh… I will be making these Christmas Eve! I love my Keurig! This looks awesome, Angie!! Amaretto liqueur and coffee, two of my loves combined for this simple Christmas Coffee Cocktail.